Retail-Office Building 2 Parking Lots 35 Tanning Beds Real Estate Sells First! Option # 1: We will offer the 3 parcels by the piece, high bidder will take choice of 1, 2 or 3 parcels. These parcels consist of the tanning salon building (Auditor Reports 5,227 Sq. Ft.). This corner lot building is a one floor plan w/ basement. A nice modernized building designed into a retail store front with 39 rooms which would make great offices! $91,000.00 Minimum Bid! 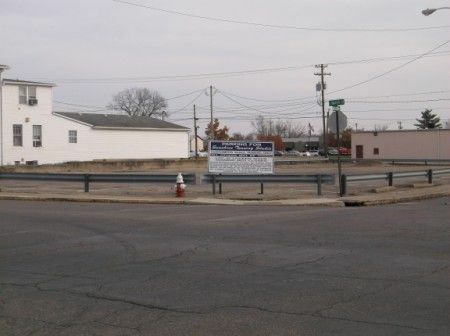 Parcel #2 is an asphalt parking lot on the corner of Water St. & Mulberry St. Approx. 82.30' x 99.26' as surveyed by Wallace Southworth, Surveyor; and Parcel #3 is a parking lot w/automatic gate opener fronting on Mulberry St. which runs South towards the alley. $40,000.00 Minimum bid for each parking lot. Option # 2: This offering is the combination of Parcel #1, the office tanning salon, & Parcel #2, the parking lot entrance fronting on E. Water St. & corner of Mulberry St. OR Parcel # 3 parking lot fronting on Mulberry St. Apx. 117.88' x 105.23' as surveyed by Wallace Southworth, Surveyor, by itself. The properties will sell in the manner realizing the highest bid received per option. 35 Tanning Beds include the following: 2 TAN AMERICA by Hearland Model 6400 12 minute beds w/facial & shoulder tanners, AM/FM/CD player w/head & feet fans purchased new in April 2012; 32 TAN AMERICA 30 minute beds some consis of 30 & 32 lamps, all w/fans, AM/FM/CD; 1 Stand Up Unit, 48 lamp TAN AMERICA w/fan, AM/FM/CD; IWATA Spray Tanning Unit Power Jet air compressor; 2 washing machines; 4 dryers; 2 lighted showcases; counter desktop; tannning bed lamps; acrylic tops/bottoms; 11 box fans; monitoring system w/14 cameras & control base; wireless timers, scroll saw; radial arm saw; 12" band saw; wood lathe w/attachments; office desk; swivel desk chair; wall clock; 2 electronic cash drawers; 35 plastic chairs; microwave; refridgerator; TMax timers & managers; 3 monitors. If you are a current customer, Tropical Tans on Western Avenue will be honoring your minutes. 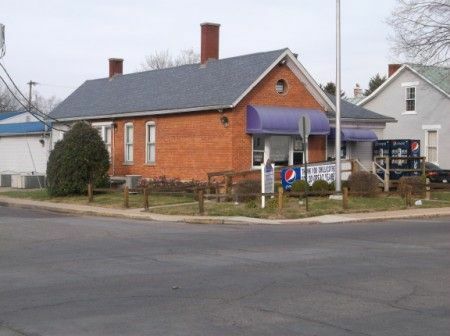 Real Estate Terms: $7,500.00 down per parcel or maximum of $15,000.00 at time of sale payable in cash or check w/ valid photo ID; offered free & clear prior to closing, Closing conducted by Steven C. Newman Atty., 41 N. Paint St., Chillicothe, OH. 45601, 740.773.2105; balance & possession on or before March 23, 2013; taxes prorated to closing; no buyers contingencies exist; sold in as-is condition. These parking lots are currently zoned Downtown Enterprises. We are currently trying to get this parking lot divided into 2 more proportionate size lots, which is different than they are currently plated. All information provided is to be utilized only as a guide. Buyers are responsible to conduct any inspection, inquiry, investigations and due diligence regarding to property. Buyer agrees and understands that the seller makes no warranties or representations of any kind either expressed or implied as to the condition, quality, and merchantability or fitness for a particular purpose of the real estate or any part thereof and/or serviceability for the same. Buyer is buying property subject to any and all easements, leases, covenants and restrictions. The agreement of auction is solely between Buyer & Seller. Stanley & Son, Inc. and its agents are Exclusive Agents of the Seller. Personal Property Terms: Cash or check with photo ID, paid in full day of sale; all merchandise must be removed day of sale. Any announcements made only by the auctioneer from the podium during the time of auction will take precedence over any previously printed material and/or any other oral statements made or implied. No liability exists regarding the information contained in any printed matter for its accuracy, errors or omissions. Bidding is open, just call out, raise your hand or watch the ring personnel…they will assist you and try to get answers to any questions you may have prior to bidding. Statute of Limitations: Any action or suit of any kind must be commenced within one year from the date when the cause of action or suit occurred or it will be forever barred. The Right of Action or suit will begin to run on the date of breach, damage or injury is sustained & not when the resulting cost, damage, harm or loss is discovered. This Agreement will be exclusively construed & governed in accordance with the laws of the State of Ohio, without regard to its conflict of Laws Principles. The exclusive jurisdiction & venue for any controversy or claim between the parties shall be the State of Ohio, County of Ross, City of Chillicothe, by binding arbitration. With regard to personal property at the auction: The auctioneer has arranged the merchandise for the auction and directs that it not be altered, moved or disturbed in any way by any person other than normal inspection at the spot where the merchandise is located. The auction staff will assist anyone who has a question or request about a lot or item. Any instance of theft or vandalism will be prosecuted to the fullest extent of the law. Taxes & Legal: These properties are identified as Auction Parcel #1: Auditor’s #30540502500, tanning/office building; Auction Parcel #2: Auditor’s #305406029000 & Auction Parcel #3: Auditor’s #305406030000.